Tesco has launched a new guarantee for all fresh milk, giving consumers ’peace of mind’ that they are supporting British farmers. Tesco has today (Wednesday June 29) unveiled its new Fair For Farmers Guarantee on all its fresh milk, in a bid to continue building long-term relationships with its suppliers. The Guarantee explains how every pint of milk sold at Tesco is 100 per cent British and provides customers with information on the fair price he supermarket pays to all its dairy farmers. Commercial director for fresh food at Tesco, Matt Simister said the Guarantee was launched to give customers ’peace of mind’ that they are supporting British farmers. He said: "Since we founded the Tesco Sustainable Dairy Group (TSDG) in 2007, we have been working in partnership with our farmers to ensure they have a sustainable long term future. "When customers buy our milk they want to know our farmers are fairly treated and their cows are well cared for, so we’ve introduced the Fair For Farmers Guarantee on all our milk to give them peace of mind that they are supporting British farmers with every pint of milk they buy." 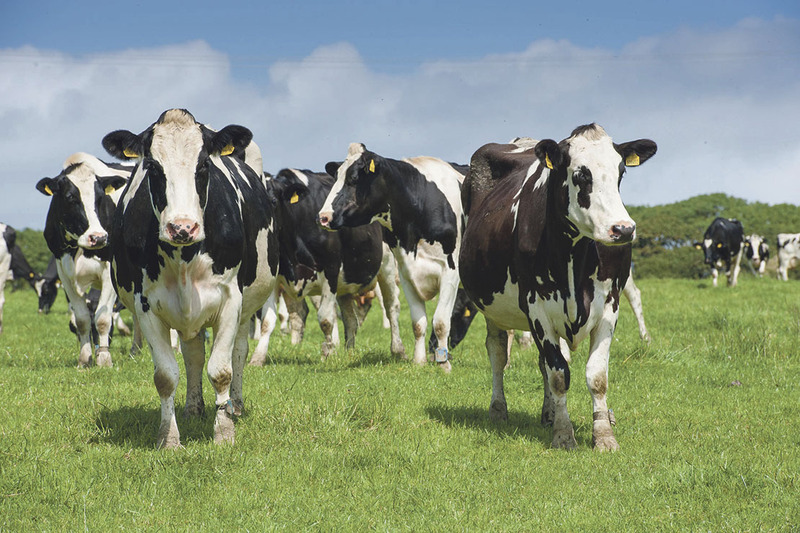 All Tesco fresh milk is sourced from the 600 British farmers who make up the TSDG. Tesco claims to pay farmers a price above the cost of production, set for three months at a time, to ensure they have a stable income despite market fluctuation. James Stephen, TSDG dairy farmer and committee chairman said the Guarantee with help ’foster a better future’ for British dairy farmers. He said: "As a lifelong dairy farmer I have seen first-hand how important the stability and support from the retail industry is to help us plan for the future. "For over eight years I have worked with Tesco, who continue to pay British dairy farmers above the cost of production price for our milk, so that we can focus on the things that matter most- caring for our cows and producing high quality milk. "The Fair For Farmers Guarantee stamp is a simple way for customers to know that when they buy fresh milk from Tesco, they are helping to foster a better future for hundreds of British farmers."